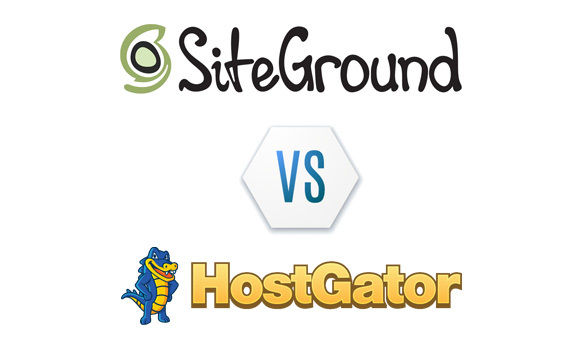 SiteGround vs HostGator: Who Wins? Of all the shared hosting companies out there, if you’ve ended up on this page your decision has probably come down to two of the giants: SiteGround or HostGator. If you do happen to buy hosting from one of these web hosts (HostGator or SiteGround), we might (it’s not guaranteed at all) get a small commission payment. That helps keep the site running and pays for our servers, etc., but doesn’t influence our opinion—so rest assured, we’re proud to have unbiased reviews! Alrighty—let’s jump into the review! When doing any type of review, it’s important to try and metricize as much of the data as possible to take out opinion—in other words, it’s best to stick to the facts! How do we do this? Great question! First, we used two different but similarly configured WordPress test sites—one hosted on HostGator, and the other hosted on SiteGround. Each of these sites was put online and tested using Dotcom-Monitor’s website monitoring service at 5 minute intervals for 6 months. Because Dotcom-Monitor’s platform rocks and gathers a ton of data, we were able to get metrics about server response time, website speed, uptime, and more! These metrics were all taken into account and weighed when determining which of these companies to crown as the winner in this contest. We feel that these are the top 5 categories that really encompass the total picture of a web hosting company, and really give users and idea of what they can expect when going with one company or the other. And of course, there’s also room in this comparison for our opinion and final thoughts too. So, let’s look at each category individually first. Let’s start this section off with a question: have you ever measured a site’s uptime with a professional monitoring tool? If you haven’t, then you’re definitely missing out. Think about it—if your website goes down, how would you know? When you checked your stats and see days of traffic and revenue missing? When a customer, client, or visitor emailed you to complain? If you aren’t monitoring your website, you definitely should be! Website monitoring isn’t something that a lot of people do, but it’s something that we did for this test to get the most accurate metrics possible. In order to gather a lot of data points, we set up Dotcom-Monitor’s website monitoring servers to ping our test sites every 5 minutes and check that that they were online. Sounds simple, right? Well, it is! The Dotcom-Monitor platform is pretty robust, and we gathered a lot of data points on speed and server response times as well, but we’ll get to that in the next section. In this particular test, SiteGround had an overall uptime percentage of 99.94% over 6 months, which is pretty good overall (the standard for web hosting companies is 99.9%, generally speaking). And HostGator had an overall uptime measurement of 99.98% in our testing, which is nearly 100%, and quite good. So who was better in this test? Turns out it was HostGator. That said, if you round down, both hosting companies technically had an uptime rating of 99.9% which is even with the industry standard. While HostGator technically did win in this category, it’s almost a tie for all intents and purposes. The difference was only .04% which isn’t much at all. This means that if you’re interested in one company or another, you may want to make a decision based on other features because they are so close in the uptime category. Yes, technically HostGator was the winner here, but that doesn’t mean that SiteGround is a bad choice—in fact, they’re an excellent choice. But to help weigh other factors, let’s continue on to the other evaluation categories, and next up is website speed and performance. No one likes a slow website, and honestly—no one has the patience for one anymore. Things have changed quite a bit since the 90s and the days of dial-up Internet service. Back then, everyone had the patience to wait for slow websites because everything was slow everything (online anyway). But that’s definitely not the case anymore—people have blazing fast LTE smartphones with hi-speed Internet access just about everywhere a person can go. This means that people expect things online to be fast—and websites to be fast. But let’s try and quantify that for a moment—just how fast is fast? What constitutes a fast website? Well, generally speaking, the benchmark is a sub-3 second load time, with anything approaching 2 seconds being extremely fast and sub-2 second load times being incredibly fast. The thing is, it’s not easy to get a site of any size or weight (such as a WordPress website) to a sub-2 second load time, but anywhere in the 2-second zone is still a good time, and something that is very, very respectable. Looking at the table above, you can see that SiteGround literally won in every single category. This means that not only did they have the fastest page load times, but the best “worst” time as well, and the best averages. Typically we see at least a win in a single category or two when comparing hosts like this, but SiteGround really mopped the floor with HostGator here. They won in every category, but not by huge margins. Looking at the slowest server response time, there was only a .01 second difference, which is really negligible in terms of speed, in fact—that’s not even perceptible when loading a website. If we were to re-run this test for another six months is it possible that HostGator would’ve won some of these categories? Sure. It’s certain that the results would change, but we’re not sure how much or in what direction, so this is what we have to go off of for this test. And it’s true—SiteGround is an excellent host and one of the speediest that we’ve ever tested. So, the well-deserved winner in this category is: SiteGround. SiteGround and HostGator: Who Has the Best Support? Support is arguably the most important feature when it comes to choosing a web hosting company. So, how is it that so many web hosting companies have terrible support? Well, it’s actually quite simple—because people don’t understand the value of paying for a good service. 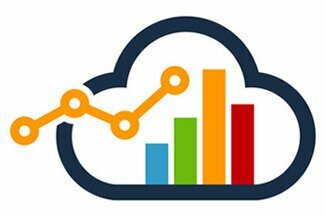 Are SiteGround and HostGator more expensive than bargain basement hosting? Sure, they definitely are—but not much more! SiteGround can be had for about $3.95/month, and HostGator can be had for less than $3/month…and at prices that low, it really doesn’t make sense to try and find really cheap “dollar web hosting” because the moment you need support you’ll be stuck with someone who can’t help at all. Looking at the individual reasons, there are many things that make SiteGround’s support stand above HostGator’s support. First of all, SiteGround’s chat system is super slick—and fast. When you jump onto support, they’re quick to help you and quick to escalate to a more senior tech if they’re not able to solve your problem. 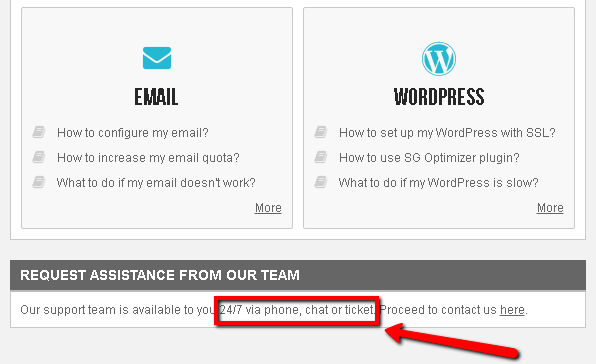 This is KEY, because HostGator (at the time of writing), doesn’t offer that option. This is nice because if the first tech that you get on chat can’t solve your problem, you can be transferred to a more senior tech and get the problem solved right away instead of having to open a ticket, and this is a huge time saver, plus it’s just nice sometimes to get something taken care of right away without having to wait. Second—the waiting times we’ve experienced on HostGator can be horrendous. Yes, this is subjective, and it doesn’t happen all the time, but it does happen, and in these situations it can be really frustrating. Also, sometimes the HostGator estimated wait time is off by a ton; it may say you have 2 minutes more to wait and then 10 minutes pass. We’ve found that SiteGround support is much better-staffed, and the wait times are short. And, if you do have to wait, the counter is typically very accurate. On the few rare occasions where we had to open a ticket with SiteGround support, our concern was addressed quickly and promptly, often times within the same hours. Conversely, we’ve had tickets go unanswered for days on HostGator, which is a shame because their support used to be so good a few years back. Essentially, it comes down to the competency of the support team and the speed at which they can solve problems, and SiteGround wins big here. Essentially, both hosts are premium hosting companies, but we’d give the nod to SiteGround in terms of premium feathers. 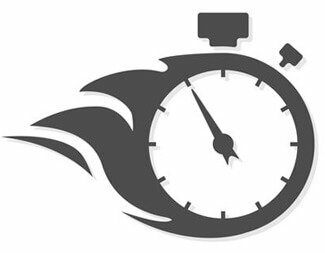 They have some awesome features to speed up WordPress like their SuperCacher, and even a WordPress plugin which HostGator doesn’t have (that we’re aware of). They also offer support for Let’s Encrypt SSLs out of the box in cPanel that HostGator doesn’t allow or offer on their cheapest plans. Plain and simple, SiteGround just has a lot more features and while their cheaperst plan is about $1 more per month, you’re really getting faster servers, more reliable hosting (in terms of speed, performance, and uptime) and you’re also getting better support as well (in our opinion). Because both hosts have a money-back guarantee, it may be worth trying each one and then determining which one works best for you, but when it comes to pricing and some of the features and support that you get for it, we think it’s really hard to beat SiteGround. Both SiteGround and HostGator are good hosting companies, and while we’ve said some things that are less than flattering about HostGator in this review, we believe we’re being completely honest. And let’s get something straight—HostGator is a good hosting company, and better than many others, so don’t get confused about that. But with that said, we just think that (at the time of writing), SiteGround has a better product and better value in almost all areas—so our winner in this matchup is SiteGround! Looking at SiteGround and HostGator? There are many shared hosting companies out there, but if we had to choose the top 2, these would be it! The Fastest Web Hosting – Who’s the Best? © 2019 Instructify.com. All Rights Reserved.